Wish to feel different this Ramadan? Will it be another Ramadan that whisk away without you feeling that closeness to Allah swt? Imagine praying like how the Prophet s.a.w and the sahabats did. They understood every single line of word and felt it in the Solah and they would never miss a Solah in a beat. 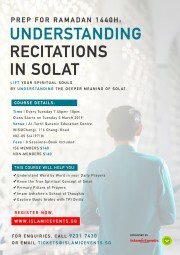 Other participants who attended this course before gave testimonies that they are able to focus more during solah. They do not rush to finish a solah anymore. They are able to feel the closeness to Allah swt. Would you like to achieve the same? 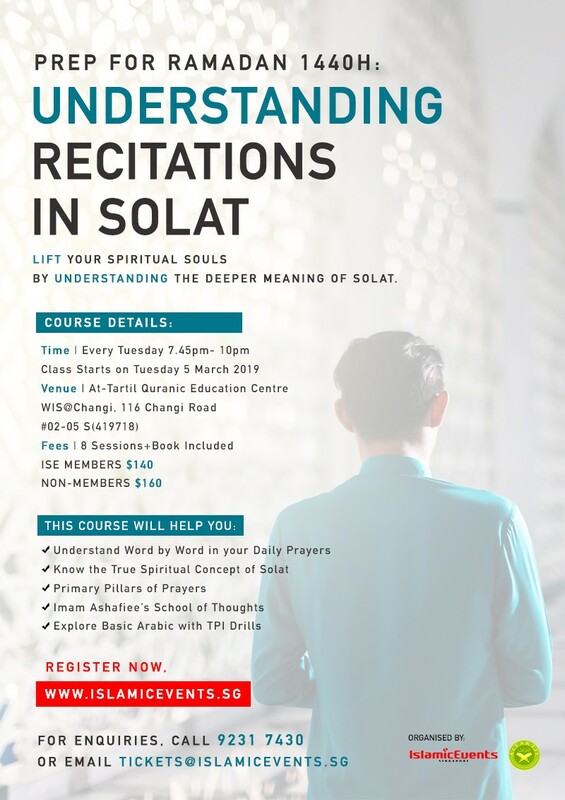 This program is run by experienced trainers from AtTartil that have run this course for thousands of students throughout the years. AtTartil is led by Ustaz Zulkiflee Bachik.